Cawl's Wrath only improves the strength and AP of the weapon, not the strength, AP and damage. Ion Bulwark and Rotate Ion Shields are capped at 4++. Machine Spirit Resurgent costs 2CP for Dominus class Knights. Castellan with a 5++ and a simple big plasma cannon doesn't scare anyone. Actually i don't think i would play it at that cost. i think i've also decided that the Ynnari flyer list basically embodies the problems I have with ITC. It has almost no board presence and can't play objectives. It just kills stuff and that's it. Put it in a more European style tournament like ETC and its going to flounder as its unable to score points and hold objectives. The Ynnari 7-flyer list is a pretty cool example of an absolute "I'm going to try and take no.1 using every cheesy trick available to me" pure competitive list though. If that style of list ever becomes prevalent then yeah, ITC will probably need to change some stuff up. But I'm always entertained when one or two players in a 700+ player event come up with some silly way to try and break the ruleset and win the event. "It's a matter of how psyker bonuses work now. You get to cast something like that and all your allies benefit. I don't think that changing it for just Craftworld getting the bonus is asking too much, is it?" No, that's not how psyker powers work for *any* army I'm aware of. "Doom is bs vs against every list because you are getting the benefits of gmoney without paying for gmoney." IOW, you get less than half of Gman (the Wounds half), and unless they have a single large unit, you only get a fraction of his ability (because if the largest target you're shooting at is ~200 points, you're going to be shooting at multiple targets), and there's still a reasonable chance it just won't happen (fail the power or be denied - not super likely but not 100%). Doom is nowhere near half of Gman. Doom is closer to a Lt. Reroll-1s-to-wound aura does more than reroll-failed-wounds when you're shooting multiple targets. A *lot* more in many cases. And an LT is a lot cheaper than a Farseer. This isn't to say Doom is bad. It's to say Doom isn't the OP gak you think it is. Also, just how much is Doom doing to most non-Knight lists? Consider the 2xRepulsors, 3xPreds Gman list. One of those 3 targets is getting Doomed. That one target is certainly dying. But, honestly, how many shooty lists *can't* kill a Predator? And how much does Doom help on the second Predator (or Repulsor)? The more you use Marines, or even non-Superheavies from the IG book, the less Doom does to you. For some lists, Smite is scarier than Doom. After a tourny dominated by IoM with Knights and a smattering of Eldar, you flock to the forums to discuss how to nerf *Eldar*, and specifically the weapon that's really only godly against Knights? Shouldn't you be more concerned about Knights? Shouldn't an anti-Knight power be one of the last things you complain about? I could definitely go on a rant about how ITC missions are bad because of how they are. But I'm saving it for my podcast since I'd probably spend the entire hour and a half ranting about it. I don't play Choas. Since we seem to be arguing about the big knight And how it is super unbalanced once it has infantry support; how come there were no renegade knights at the top tables? They can take cheep cultists for screens and scoring right? The can take deamon princes as Smashfuckers, maybe not as good as the Golden bikers but still they can put something in that role. And honestly the cheep troops and big knight seem to be the killer combo. What does the imperium have that chaos doesn't? Stratagems, warlord traits, Relics, and household traits. I always say, ITC is not warhammer, its ITCHammer, its a different game, a different meta. Play CA/Book missions and you play a completely different game. I'm trying to get my group to play City of Deaths as base rules, as its also a different game completely (my local is getting bored with 40k). We are about to start a league using it. That's the spirit. Looks like it'll be a blast, too. The imperium list has better buffs. Are they in the knight book? Or the guard book? Doom in and of it's self isn't the main concern it's the interactions between doom and haywire, most vehicals are T7/8 with most of the best being T8 so your rerolling everything else which does have some odd effects due to the on 6's effect. Against T7 it's less of an issue, but it also bypassing armour and invulnerable saves. It hurts vrs knights but it hurts against FW dreadnaughts, repulsors and Stormsurge, Riptides. Cross codex interactions between rules have not been kept in mind by GW during balancing. "Fixing Doom is super simple. " Because Castellian-Loyal32-Beatstick lists have it too rough. Lets nuke the thing that hurts them the *most*. Why do people want to nerf one of the few combos that can actually threaten to remove a Knight? It's a matter of how psyker bonuses work now. You get to cast something like that and all your allies benefit. I don't think that changing it for just Craftworld getting the bonus is asking too much, is it? There is no reason to ask it, its like asking dex hex not to help all chaos forces. Eldar already pay premium for that, you lose 5-7% of your army for pshycher who is terrible at everything else and there is still chance you will not get the benefit. For instance yesterday Sean Nayden failed in one turn doom, jux and word, so his 400 pts pshychers failed to do their main task and that left spears unprotected and Castellan killed them all and the Yncarne in one round. 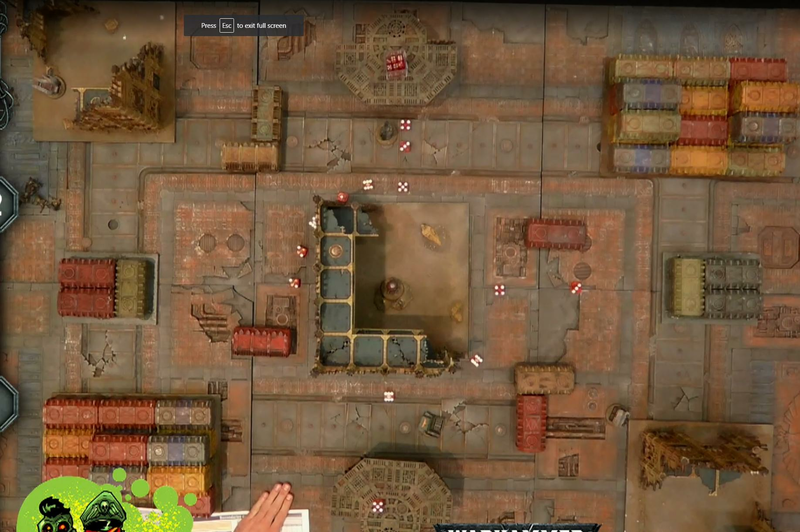 Castellan and guard is guarantee value regardless the dice, for instance in the final the IG player had terrible dice luck and was still able to win simple because he knew what to target and knew that flyers don`t give ground control. Smart player abusing that the flat value and having units in every situation is better than to rely on risky spells. It`s the some reason in the top 34 there are maybe only eldar non Ynnari players, that really tell that doom is not really a issue. You havent play them in the new CA missions i take it. Nids/Orks wins over them hands down. "yesterday Sean Nayden failed in one turn doom, jux and word"
Ouch! I assume he lost that game? The new CA2019 Missions are really good. Well, we can test this now, can't we? Some people proxy the lists in the last game and play through the CA missions and lets see which one comes out on top more often. Yea, he lost 231 pts spears doing nothing was to much for the eldar, it was painful game till the end. I'd agree with this at the start of 8th but with all the additional missions GW has put out over time, the ITC ones really don't seem that great any more. Also does anyone have some clear pictures of the tables? 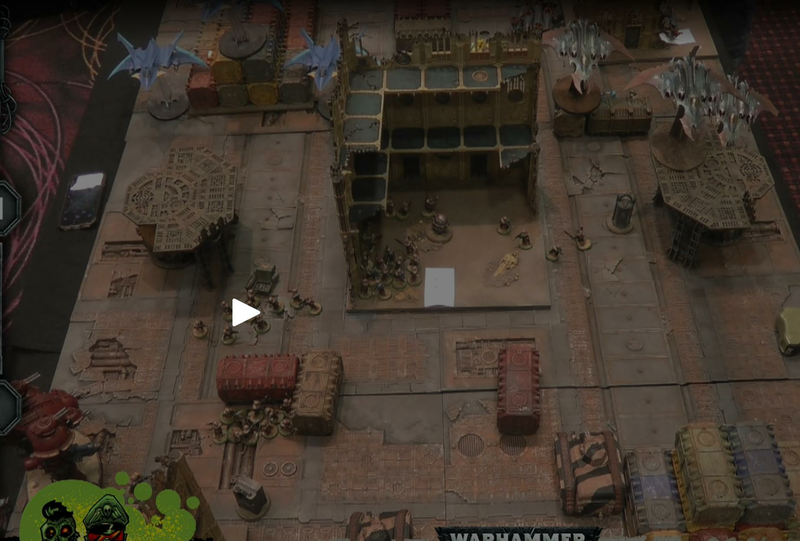 I want to get a feel for how much terrain was used. So I'm really interested to see what 10th-Placed Matthew Allee's "boring Eldar" list really looks like. Can't seem to find it on the website. Anyone have an idea? 100% agree. That will actually be the subject of my rant; that ITC is not needed anymore other than maybe as a sort of international ranking system. No reason to have missions that enhance listbuilding and don't have any twists. I would even argue that CA2018 Maelstrom missions would be better despite the randomness because A) The 2018 missions let you remove some cards from your deck and B) The randomness is intended to make you not take a skew list but an actual balanced list that can deal with a vareity of situations. Even the Eternal War missions have that little extra parts that hurt the real spammy skew lists and make you want to build a well balanced list instead. Yes really, you just don't have to only care about killing units and taking objectives like ITC (the champions missions are virtually identical, the only difference is where objectives are placed and the "mission" is exactly the same), and you can't tailor secondary objectives against your opponent's army while also trying to game them yourself to deny as much as possible. The ITC Champion missions are 100% designed to push list building as the most important part of the game. Everything about them puts list building at the top of importance. The CA2018 missions introduce slight imbalances (or random imbalance in Maelstrom) that counterbalance the emphasis on list building and combo stacking. Killing your opponent should be something that happens in the course of trying to complete your objectives. There is more then enough incentive to kill units without almost every objective giving me points for killing my opponent. Lots of terrain. Considerably sized LOS blockers. I guess boring means just like all the rest? Ok but how many armies can list build? IG and their soups, eldar and their soups and that is more or less it. Maybe ultramarines too, can pull of some skew build. Everyone else would have to buy 3000-4000pts of models just to play the majority of the missions and switch lists depending which scenrio is played. It still wouldn't mind though that when face with an IG or eldar list they would have a greater chance to win then now. They would spend more money, so I guess people that have shops or paint studios would be happy. GW probably too. They're indelibly connected, especially the Stratagems. I don't know what the other poster you were arguing with suggested, but killing CP sharing so we can put a bullet in the head of CP batteries is my preferred solution. See how it shakes out then buff/nerf where relevant. Because everyone here is just as good as the top 4 at LVO and it's 100% the list that determines victory. He said the missions are bad. You don't need to be a total genius to use those lists. It's quite easy to demonstrate the balance of missions if the same people play different missions with the same lists each game. I feel like that is the whole point to a competitive system. It should be fair and not random. The objectives should be fair, as should the terrain. I dont think there is anything wrong with list building being a core part of a competitive game either. GW can obviously tweak things to change the meta.